Jim was arrested on June 20, 2018 and sentenced to two years probation. He also recieved a $1,500 fine. Capo will have to check in with a probation officer in Georgia for the next 24 months. He was pulled over while riding passenger in a Mercedes SUV that was stopped for swerving on I-85. The driver tried to escape police pursuit but crashed into a police cruiser. After a search of the vehicle, cops discovered two guns, one of which was reported stolen in March. They also found two pill bottles containing 31 total Oxycodone pills, marijuana, a blunt and three vape pens with THC oil. Jones said the guns and weed were his. 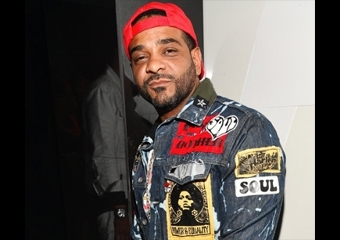 Jim Jones was officially charged in the incident with five felonies including three counts of possession of a controlled substance and two counts of possession of a firearm during the commission of a felony. Fortunately the charges were dropped as part of the plea deal.